Hello and welcome to a Light It Up Blue mini hop as we celebrate the last day of Autism Awareness month! We wanted to hop one more time to remind everyone that Autism Awareness is important every day, throughout the year! For this hop, we are being sponsored by Lawn Fawn, one commenter will get to pick out the Lawn Fawn stamp set of their choice. 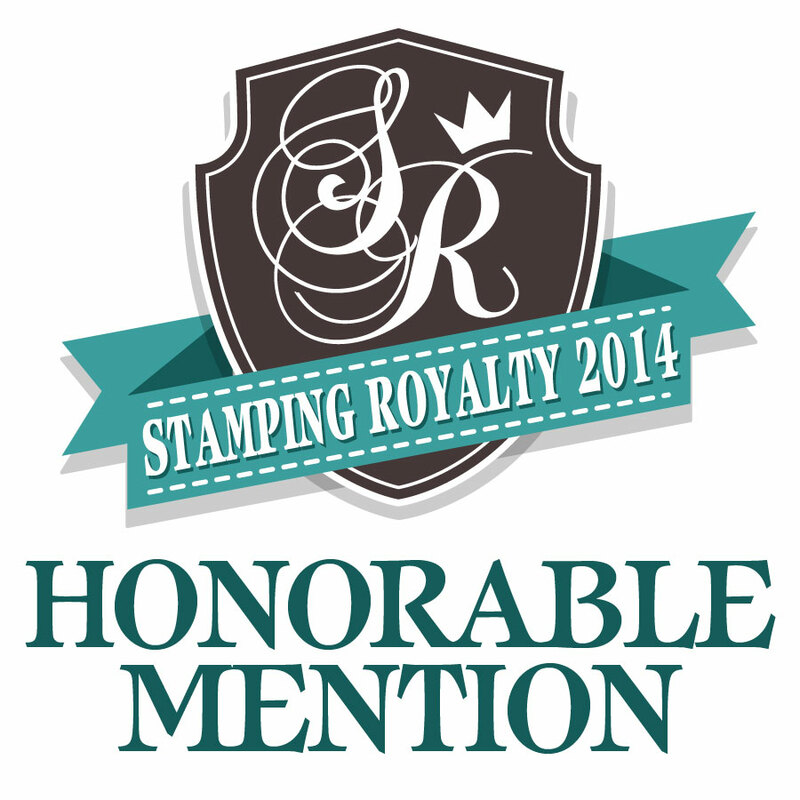 Veronica Zalis is also offering a $20 gift certificate to the stamp company of YOUR choice to one lucky winner. Be sure to visit all of the blogs playing along today to increase your chances of winning! You have till midnight, May 4th, 2015 to leave a comment. Winners will be announced the following day. I haven't play with my Lawn Fawn set for a while, so it feels good to get their set out and play with them again. Am keeping my card design simple and just highlight one of the critter to symbolize how everyone should celebrate their uniqueness, whatever it is that make them different. Each of us unique in our own way. Hi folks.... Are you ready for new My Favorite Things sketch challenge? Here's the sun sketch. Seriously, I had so much fun making this card. It's pretty & full of color. Wanna see the full card? Just an extra step, please go to MFT Challenge Blog. Come play along. 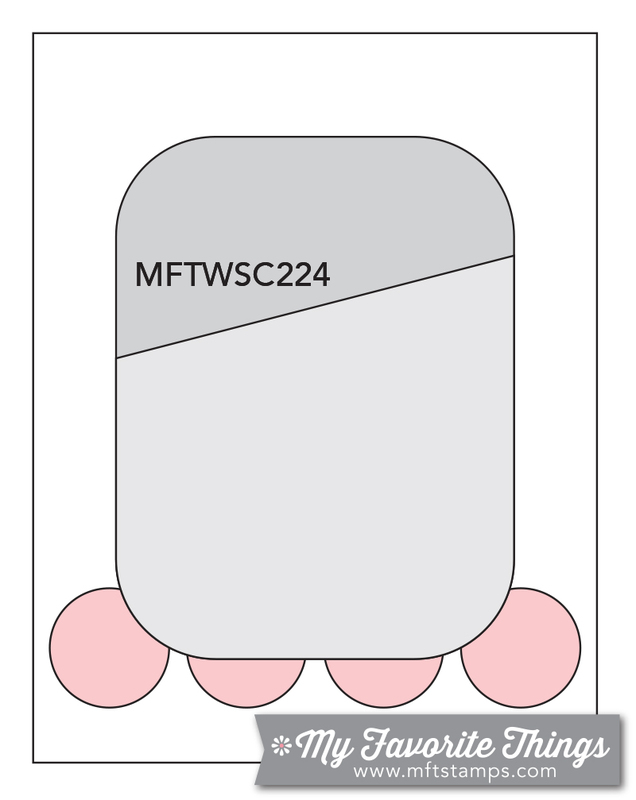 Who knows, you could be the lucky one to win GC from MFT just for playing. Can't wait to see your creations! 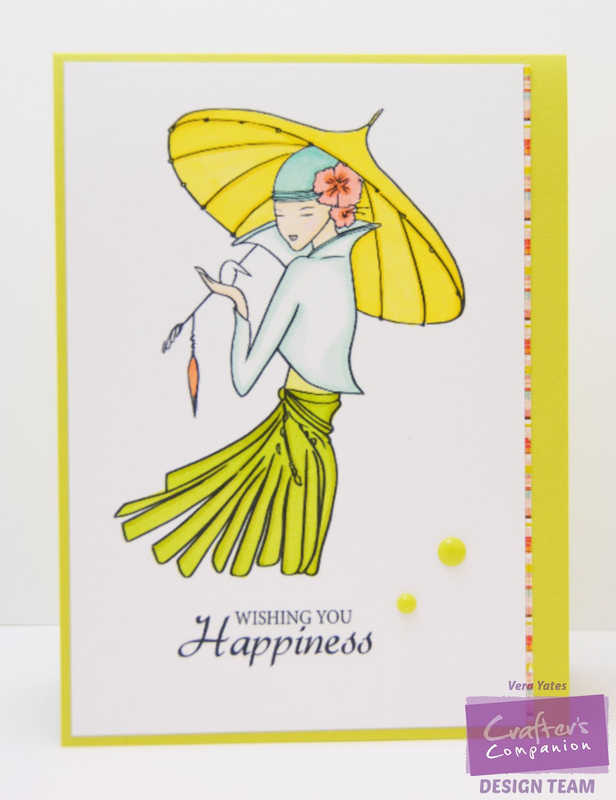 Today, I have another project using Crafter's Companion Kimono collection to share. This time, I am using the Butterfly Silk set. While at first, I found this collection intimidating as I mentioned on my previous post, I now find this collection is pretty fun to work with. This is such an elegant look, isn't it. I am definitely plan on practicing making more card using this elegant image. I have tons of stuff to do a we're getting ready to go on vacation, soon. So, short one today. Thank you for swinging by here. Gnome, gnome, gnome.. I think I am a bit obsessed with gnome. Growing up and actually to this day, I still love reading books with fairy, gnome, etc. I don't remember seeing gnome related products though growing up in Indonesia. But, boy, here in the States, I see plenty of them. I do like the garden gnome, even though I don't have one at the moment. Need to fix that, don't we? 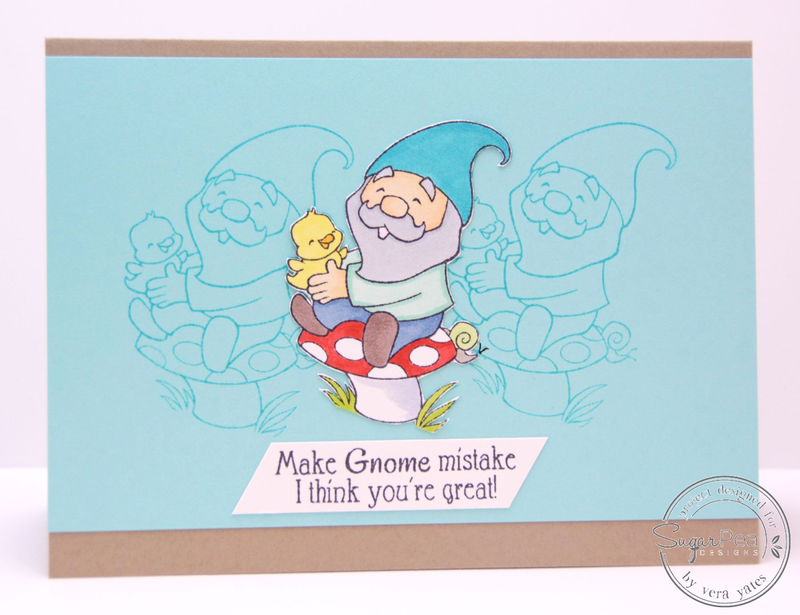 Well, as you can imagine, today's card featuring a gnome. 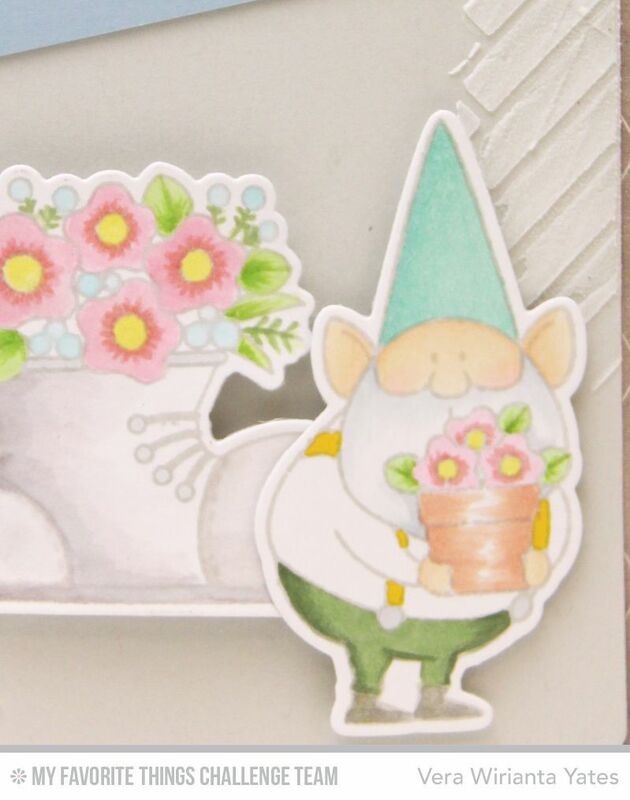 I just love this silly gnome from My Favorite Things You Gnome Me set. I made this card just for fun. No challenge. Just playing & creating. 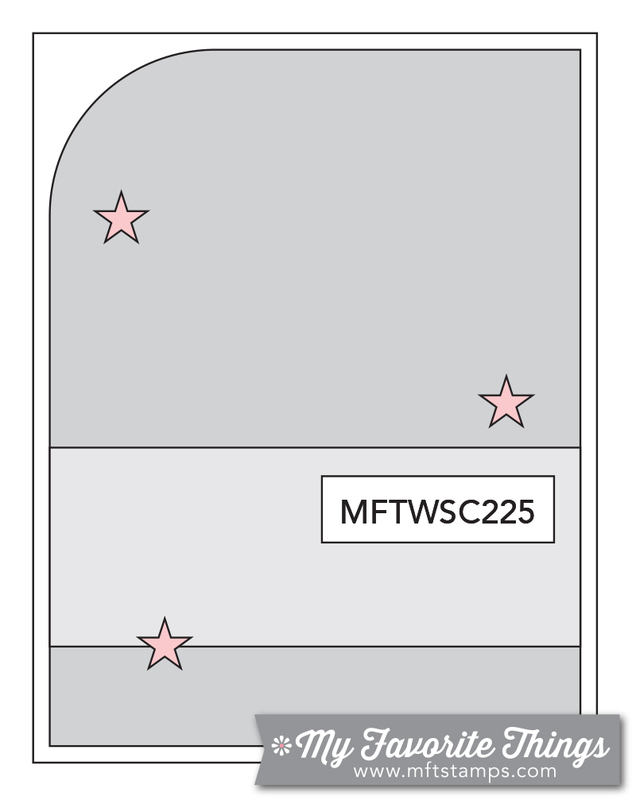 :) BTW, there's a big announcement on MFT blog today. 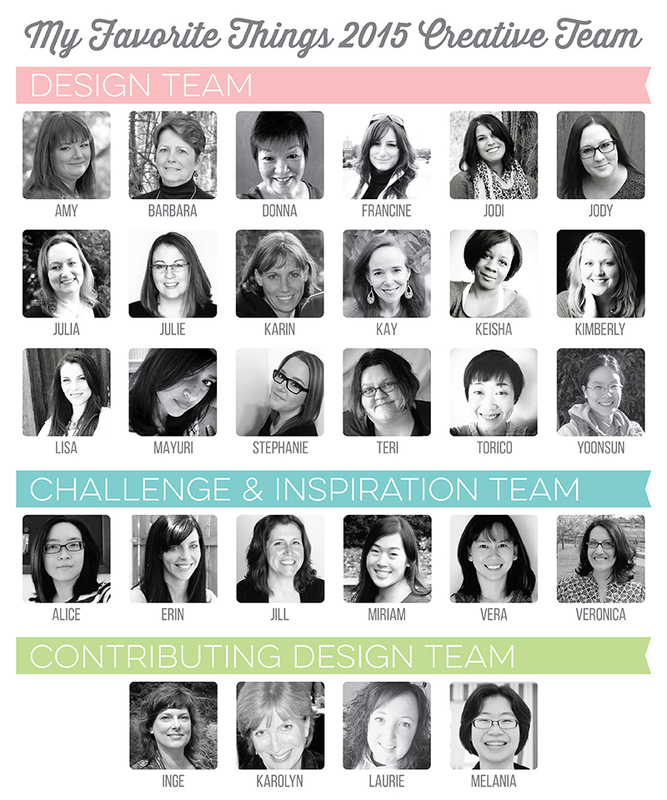 All I can say, I am so honor to be part of this amazing group of talented ladies. It's so exciting to be working with people that you admire. Have a blessed week, everyone! Yikes... We're already on the last week of April! The first quarter of the year almost gone. Is it just me or the older we get the faster time seems to fly by? Well, crazy, busy week this week, so I am keeping this short & to the point. You can check out what the other SugarPeas has created for this challenge & see all the challenge detail & prize at SugarPea Designs Blog. Happy Monday y'all! Growing up, I watch my mom loving her orchids collection. There's something elegant about orchids, in my opinion. My mom's best friend actually own an orchid farm. I, myself never been to her orchid farm, but even on the back of her house, she has pretty big size orchid garden filled with row after row of orchids. Some of them are rare, but one thing in common, they're all gorgeous. My card today is showcasing my appreciation of the orchid beauty. 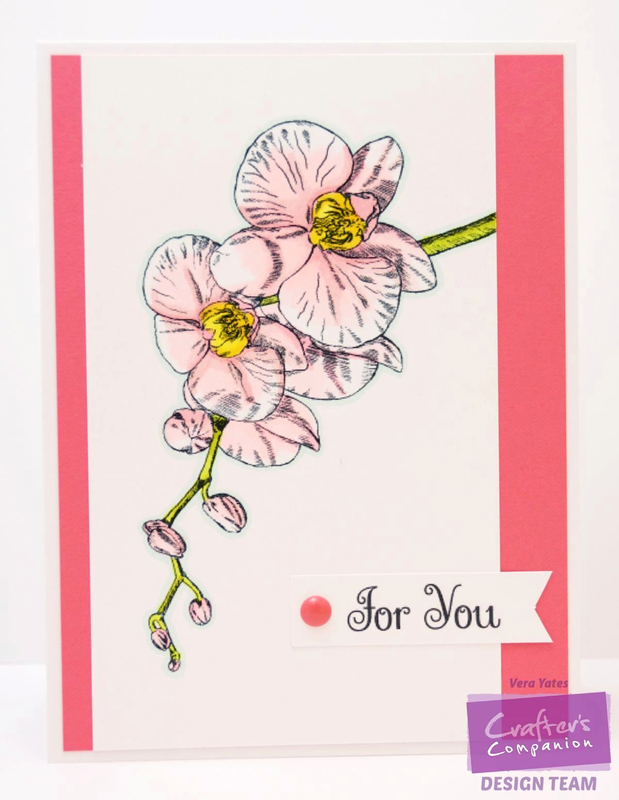 This orchid is from Crafter's Companion Sheena Laguna Orchids set. I keep the design simple and let the orchids take the center stage. You can check out all Crafter's Companion Sheena collection HERE. That's it for this Sunday and may your day be a fabulous one. Hello, Friday! 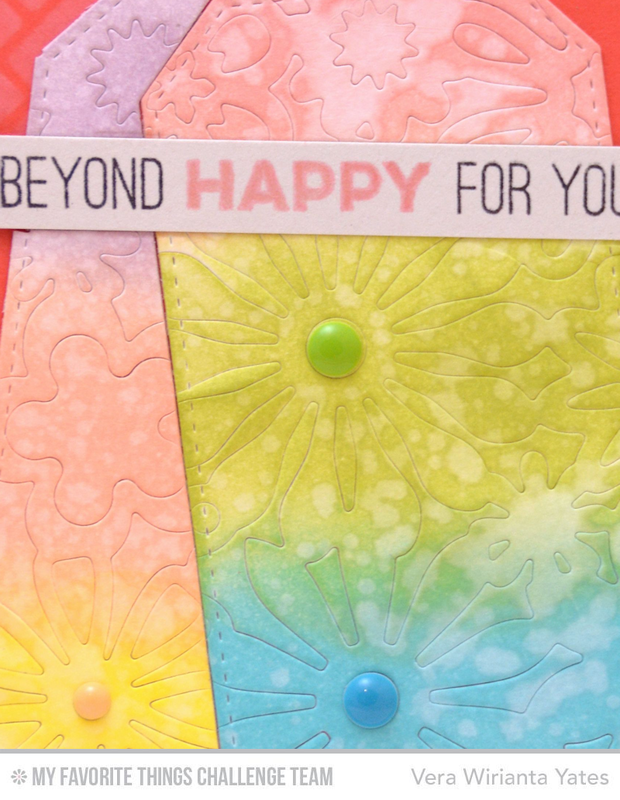 How about starting this day with a bright, happy color card? I love bright colors. That's for sure. When, I saw this gorgeous from Lotus Flower set from Crafter's Companion Kimono collection, I was debating with myself on what color to use. Then, as usual, I just picked one color and go from there. I started with the lime green color on the skirt and built the whole color scheme from there. 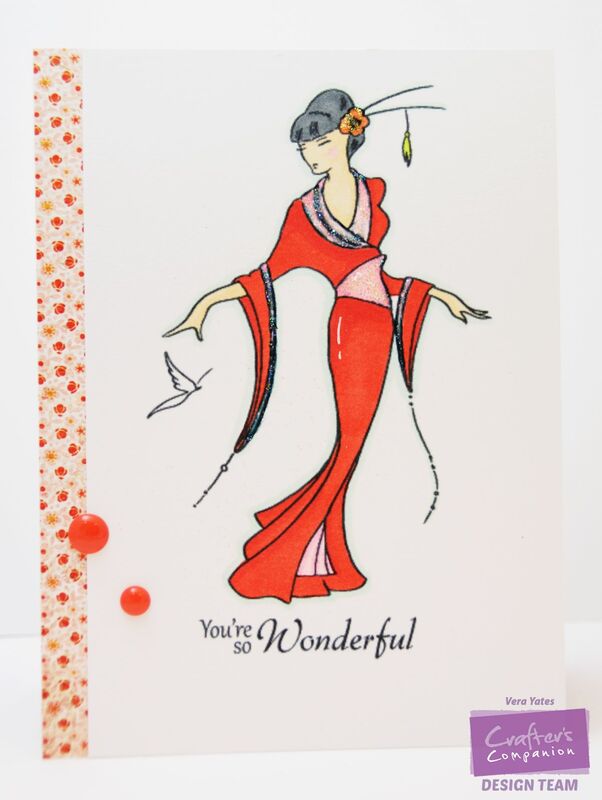 The Kimono collection really have some gorgeous oriental image. I am surprisingly enjoying working with the images from this collection. I say, surprisingly, because as you know, I am normally into cutesy stuff. When I first saw this collection, I was a bit intimidated. But, boy, sometime when you just dive head first and go for it, it could open your eyes to new level of appreciation and take your creativity to a new place. In this case, appreciation for non critter, non flower image. 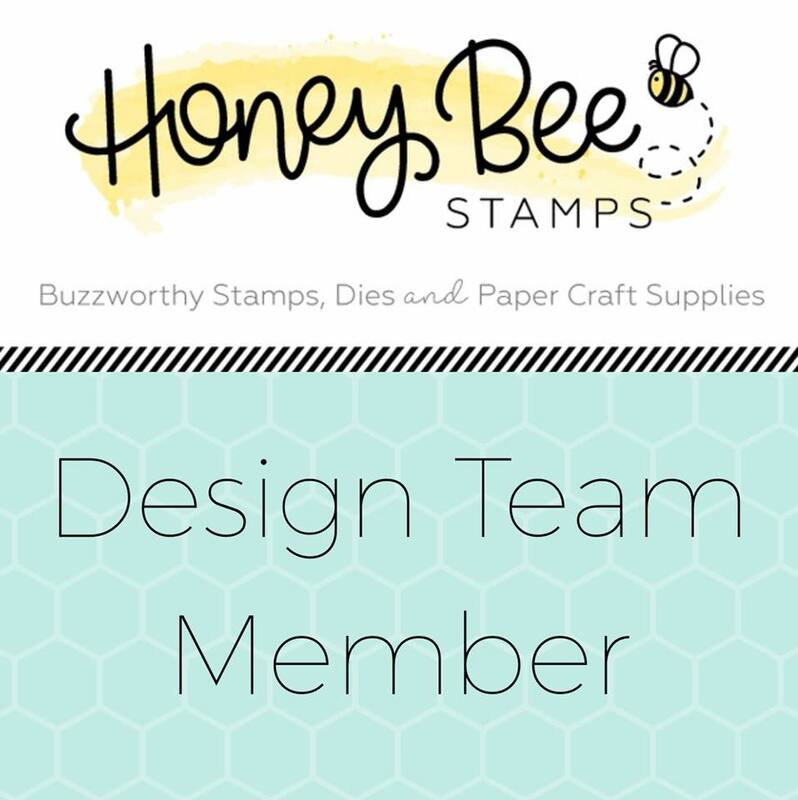 Do you have certain stamp that you find intimidating to work with? I'd say, give it a try. Start with something that you love and apply it to the image. Here, I start with my love of bright colors & CAS style. The end result, could surprise you, the way this image did to me. :) Have a blessed Friday. Yes, it's another gnome card. 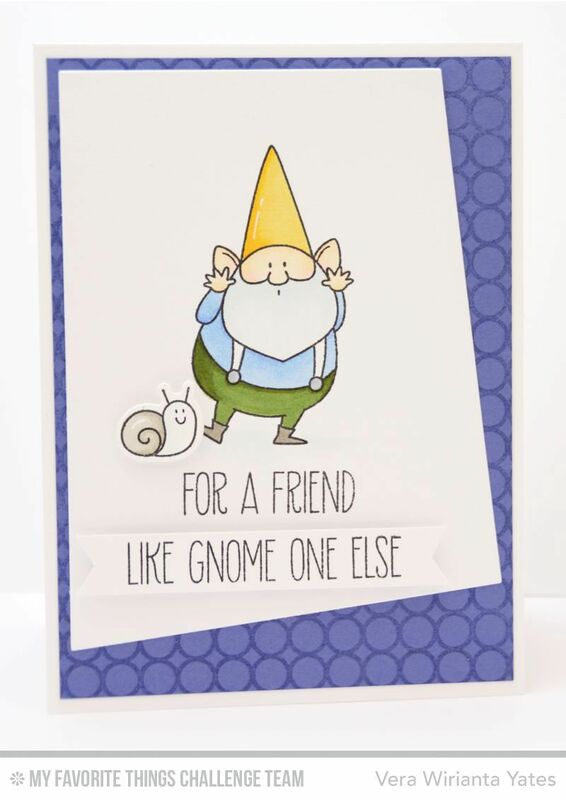 Love me some gnome, you know. 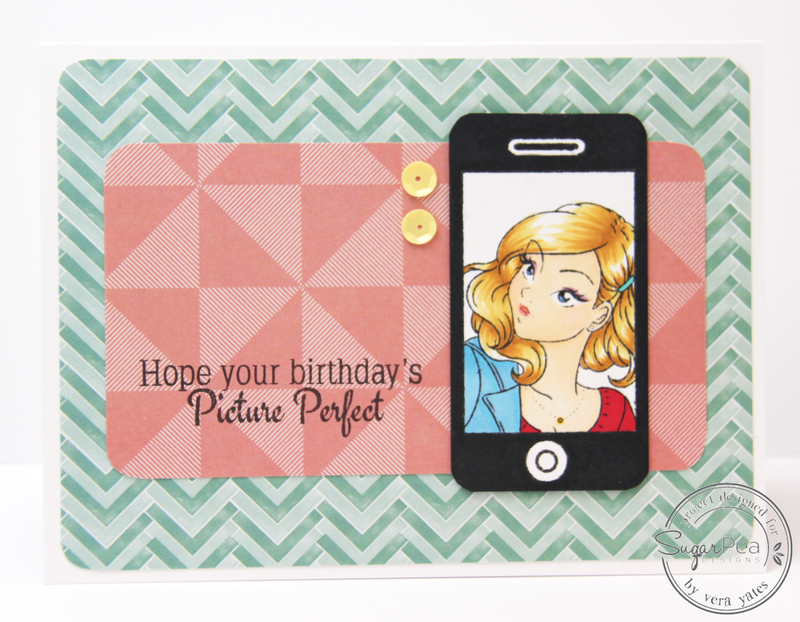 ;) You can view the full card at MFT Card Challenge Blog. You have 2 weeks to play along and I can't wait to see your creations! Yepper, today I have 2 cards to share with you. 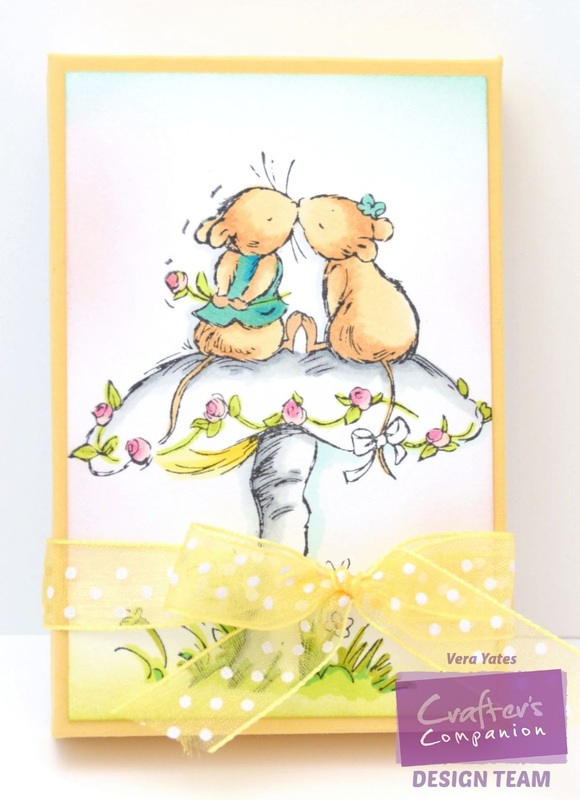 Earlier I shared a peek of my card for My Favorite Things sketch challenge and now I am sharing my card for SugarPea Designs anything goes challenge. I guess, I must have love gnome, considering that I have quite a few cards with gnome lately. What can I say, they're so stinkin' cute. Pair it with a cute duck, well, you got me there. Critter & gnome = me, a happy camper. Well, short one folks. Checkout what the other SsugarPeas has created for this challenge HERE. Hope you'll play along. See you later alligator! Hello, hello, hello.... Are you ready for new MFT sketch challenge, peeps? Love this week sketch. 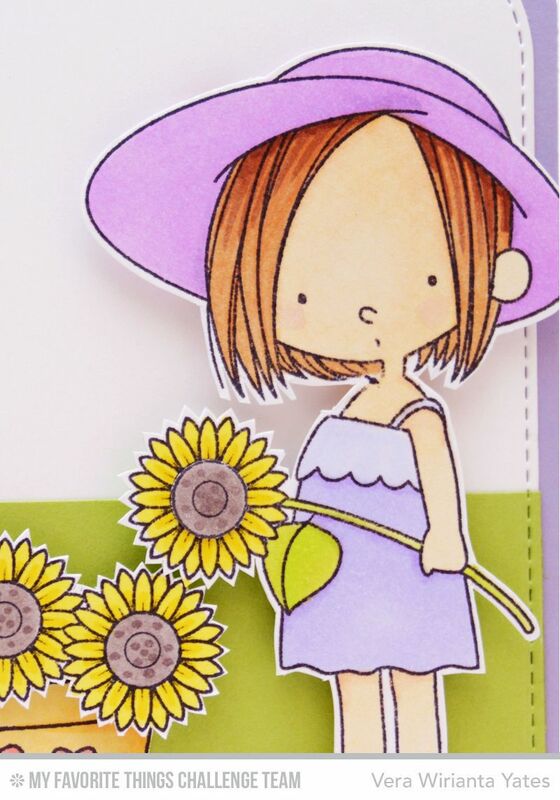 And, here's a peek of my card featuring this sweet girl from Sunflower Sweetheart set. When I first moved to the States, the first bird that capture my attention was the hummingbird. I never saw them while growing up in Indonesia. I am fascinated by their beauty and ability to fly so fast. 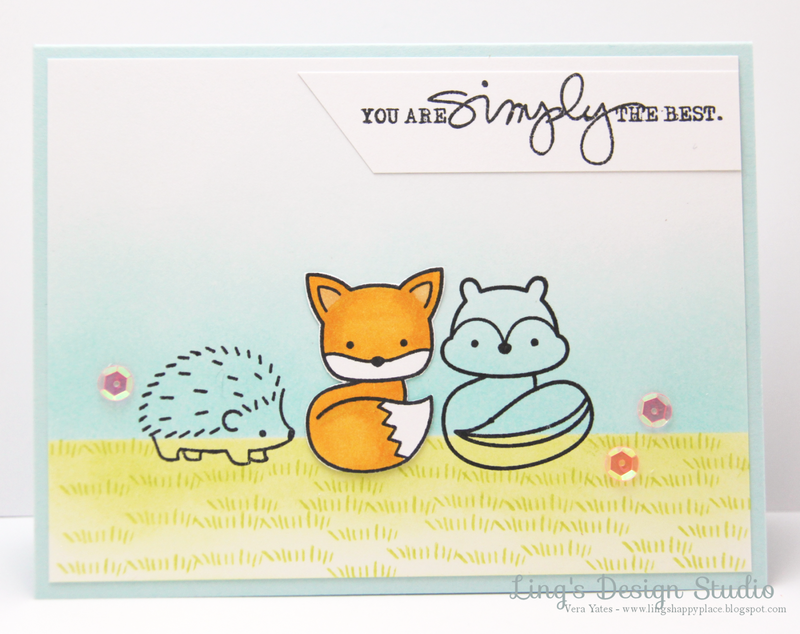 So, needless to say, I am excited when I saw this new release beauty from Crafter's Companion Sheena Laguna collection. As you know, I love using bird image on my card. This image is so much fun to color. I mean, the color combination that you could do are endless. I chose to go all bright here. This is also one of those rare moment that I use dark purple on my card. :) I find purple as one of those hard color to work with. Luckily, I think it works well here. I sure hope they'll come out with more gorgeous bird stamp in the future. What's your favorite image to work with when you creating? Is there particular image that you find yourself drawn to again and again? Would love to hear your thoughts on this! Be back tomorrow with new sketch challenge from My Favorite Things! Hi all. This month, we teamed up again with PageMaps for another fun sketch challenge. And, here's a peek of my card. To see the full card please go to MFT Card Challenge Blog. I know, it's an extra step, but it'll be worth it, cause then you could also see other fantastic creations from my team mates. I have to admit, that among my friends, I was one of the last that join the I-phone crowd. For the longest time, I stick to my flip phone. Even after my mom gave me her I-phone, I still not attach to my phone. Hubby still joke to this day about how I only pick up my phone like 90% of the time. Of course, that's no longer true as in the past 3 years, pretty much since we got Eli, I am using my phone constantly to take picture of the doggies. So, yeah, now I am pretty attached to it. There's roughly 1200 pictures on my phone as hmm... about 75% of them are of the fur babies, Eli & Abby. With my obsession with the fur babies, I made this shaker card to reflect that love. I really, really love this set from SugarPea Designs Hashtag Hipster. I mean, the possibility is just endless. Mix it with Hot Diggity Dog it's even more fun! I think this card would be a fun thank you card for doggy sitter, or just thank you card in general. Well, I have more creating to do this weekend. Lots of DT assignments waiting. Hope your weekend is fabulous! 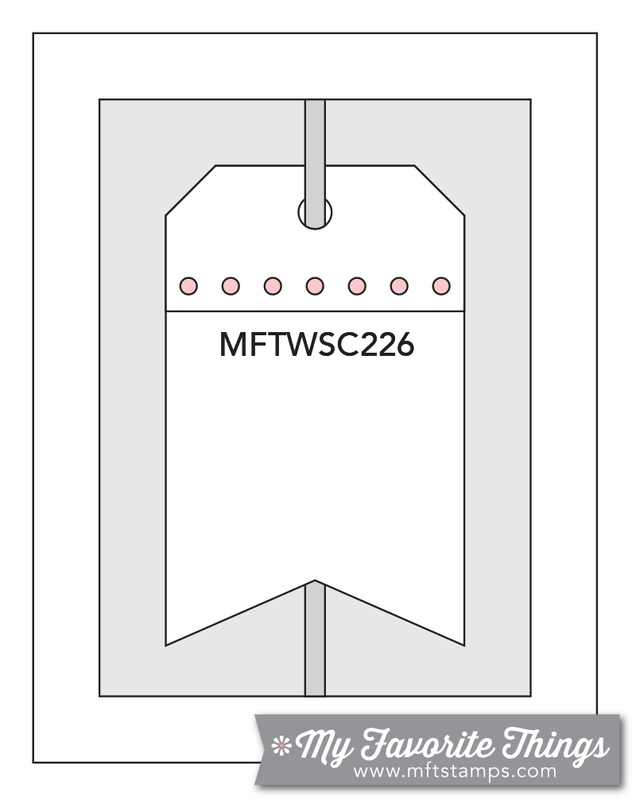 Today, the MFT team are focusing on making shaker card that also show a glimpse of the inside of the card. And, here's my kitten card. I know, I know... I've been using this I Knead You set quite a bit. What can I say, the kitten on this set are just so darn cute! You can see through the heart opening that there's a sleeping kitten on the inside of the card. For the shaker itself, I die-cut and stamp some mouse and fish bones besides the sequins. Now, you might think I switch my loyalty from dog to cat. Not to worry, tomorrow I'll be back with a doggy card. Hah... Don't want my doggies to think I am considering getting a cat with all this obsession with cat card. May your Friday be a fantastic one! Hi folks. This week My Favorite Things have shaker cards in mind. 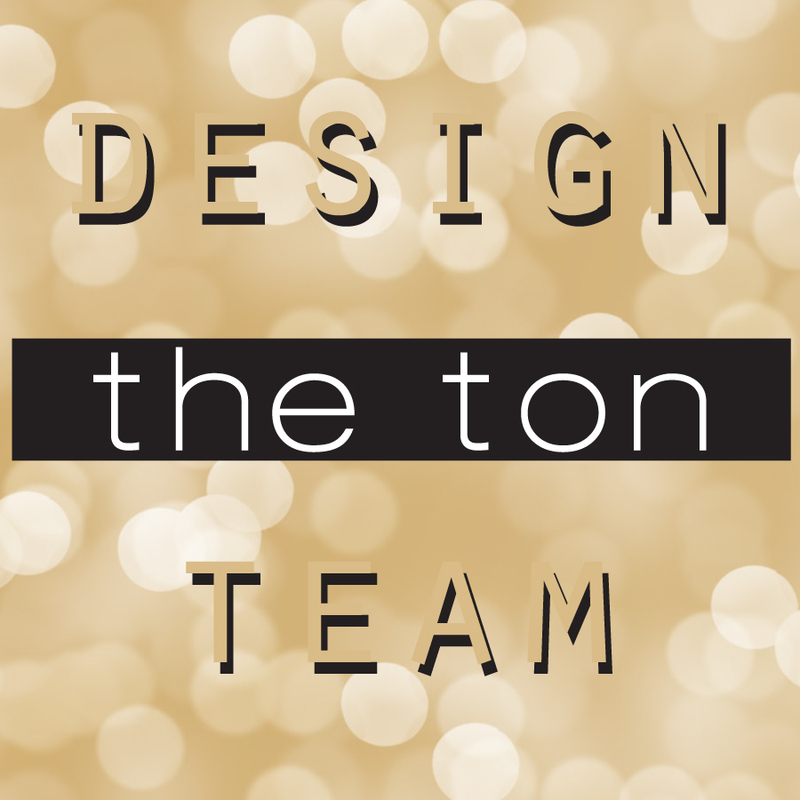 The main DT and the challenge team are making & sharing tons of shaker card inspiration. And, yep, there's lots of giveaway as well. So, make sure you stop by MFT Blog every day for inspiration and a chance to win fab goodies! Let's shake thing off, shall we? 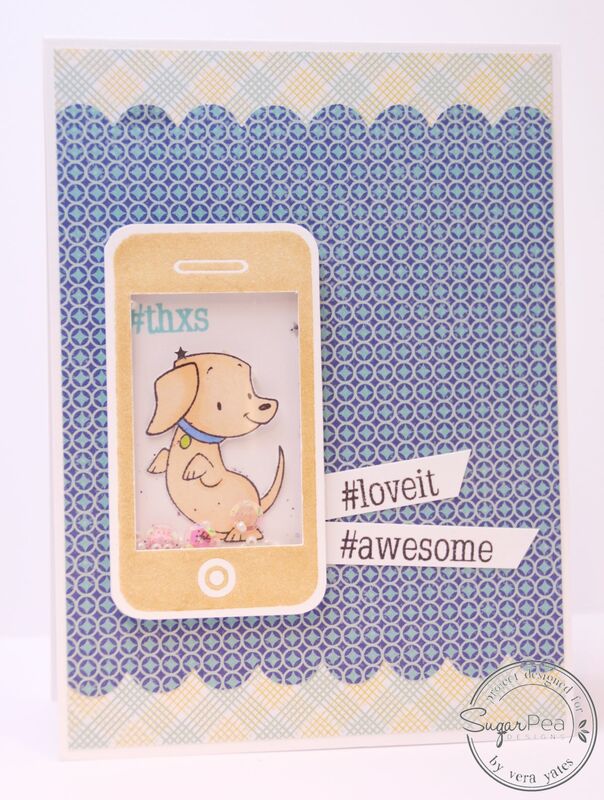 Here's my shaker card featuring the cute puppy from You Make My Tail Wag set. Now, besides the shaker card, I also have new sketch challenge to share with you. After all, it's Wednesday. Sketch challenge time. 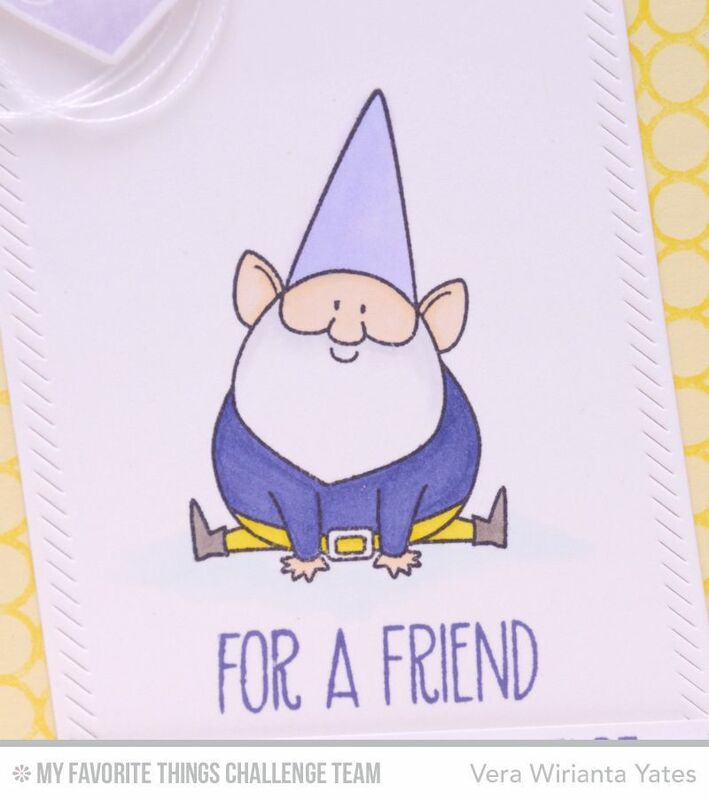 And, here's a peek of my sweet gnome card. Usually when it comes to paper crafting I stick to mostly card making or scrapbooking. But, sometime I branched out and do 3D item. Like, today's project. Today I have a sweet gift card box holder to share with you. I made the box using The Ultimate Tool from Crafter's Companion and decorate it with this sweet Moonbeam Meadow's image. Sweet & simple way to make gift card giving a bit more special. This month, there'll be quite a few new images being released from Crafter's Companion and I'll be sharing my projects here. Stay tune and may your week starts off fabulously. 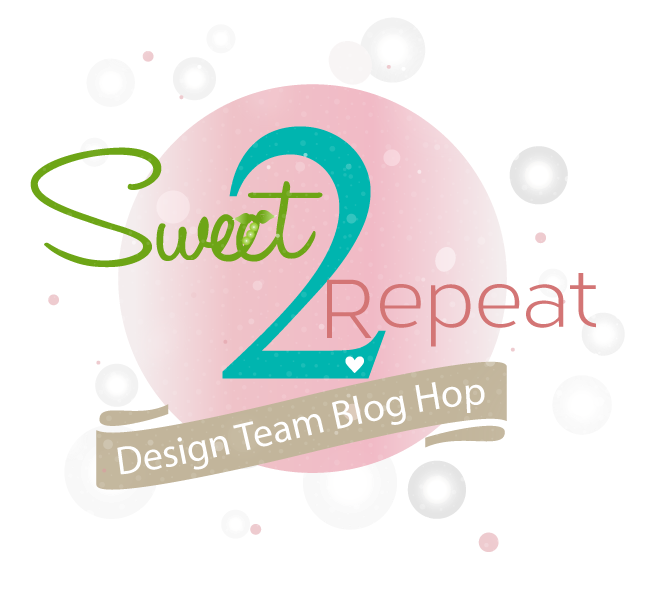 Hi there crafty peeps and welcome to our Sweet 2 Repeat Blog Hop! 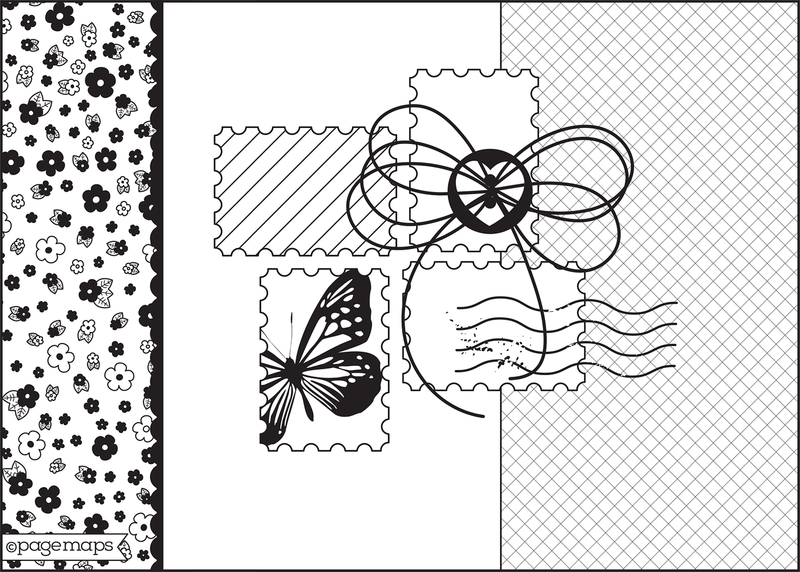 Now that so many of you have our March Product Release in your hot little hands, the SugarPea Designers have put together new projects that will inspire you with even more creative possibilities featuring the newest SugarPea Designs stamp sets and SugarCut dies! I chose to play with the cute Hot Diggity Dog set (no surprise there, right?) 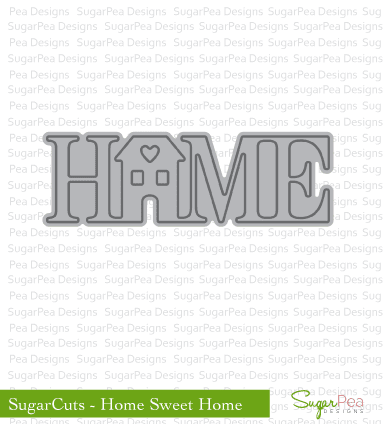 and the Home SugarCut. I keep it simple and let the image speaks for itself. 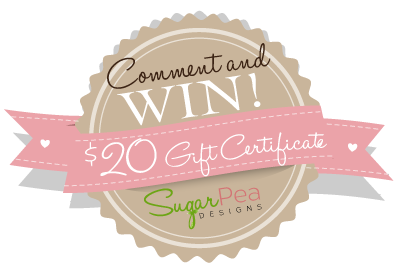 Now, how would you like to win a $20 gift certificate to spend on some SugarPea Designs goodies of your own? All you need to do is visit with each of our DT members listed below and leave comment for your chance to win. Easy peasy, right? Well, that's all for me then. I am keeping it short and sweet. Thank you so much for stopping by here. I really appreciate your visit.